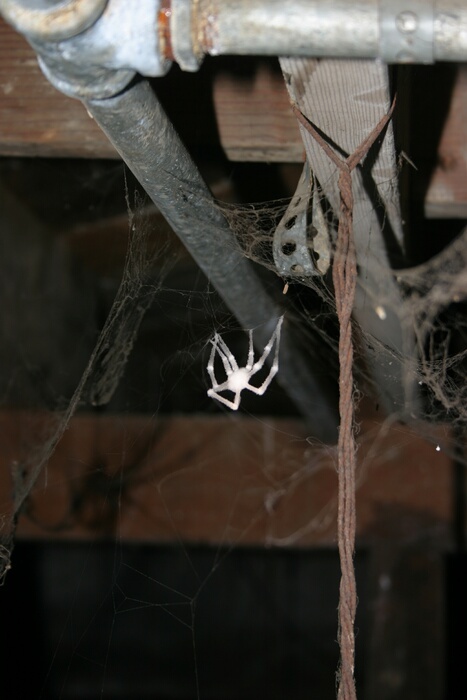 If you ever spend time in the crawlspace under a house, you’re bound to see spiders. You are in their world…and you’ll play by their rules. This appears to be some sort of spider mummification. When I first spotted it, I thought it was kind of neat. Then I wondered to myself, “What kind of a creature could have done this?” I have no idea about the answer to that question – I just know I don’t want to meet it.